On August 26th, Mike Scialom, writing in the Cambridge Independent described Cambridge Electric Transport's electric bike service. The pilot service, funded by Cambridge Science Park, was a huge success. More than 50 staff members from 20 different companies tried the free Electric Bike service from Longstanton. The scheme is expanding to include other North Cambridge Business Centres such as the Cambridge Business Park, St John's Innovation Centre and Allia Future Business Centre. The article interviews managers at Allia Future Business Centre on King's Hedges Road. 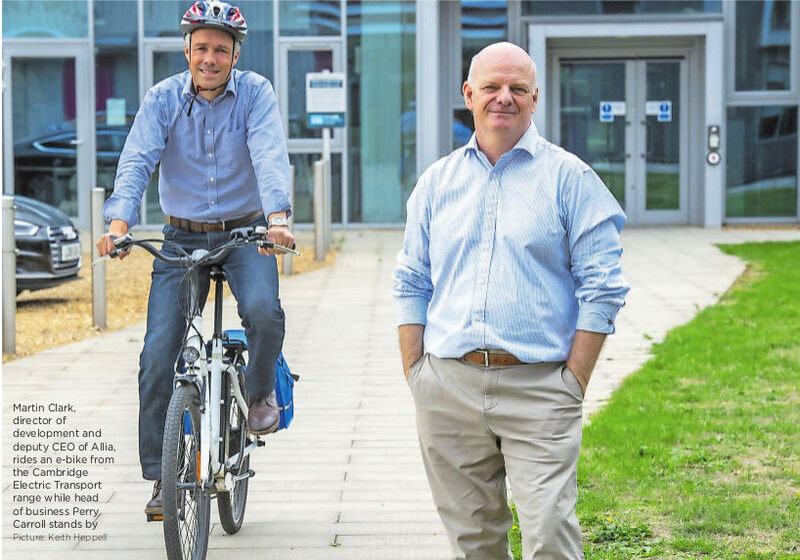 Cambridge Electric Transport plans to expand this service, aiming for 16 pick up points, and over 1,000 bikes by Spring 2019. For more information about how your company can become more sustainable and save money for your employees on contact costs and become more healthy, please contact Sean Moroney - Seanm@nullcambridgeelectrictransport.co.uk.